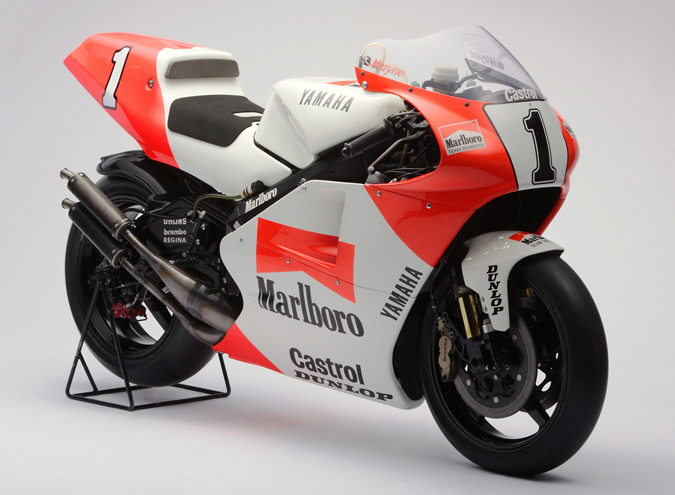 1993 YZR500 (0WF2) - Communication Plaza | Yamaha Motor Co., Ltd. This GP500 factory machine featured a new engine with 10 more horsepower than the previous year's model. It was developed with a theme of significantly boosting overall competitiveness through a balance of power and chassis stability and featured a Deltabox frame with a new design utilizing a 2-ribbed (3-box) cross-section member made of extruded aluminum to replace the existing sheet aluminum construction and other revisions. Although Rainey's crash in the Italy GP that year ended his quest for a fourth consecutive title, he still made a big contribution to Yamaha's eighth Manufacturer title in the 500cc class.